Falling, slipping or tripping whilst out and about can be very embarrassing and if you have been injured too it can be painful and upsetting as well, especially if it wasn’t your fault. If you have slipped or tripped as a result of someone else’s negligence then you may be able to make a claim for compensation. At Ashmans Solicitors we do understand that you will be feeling upset and in pain following your accident and we can help you to start to put your accident behind you and claim the compensation you deserve. These are only some of the circumstances in which you may slip, trip or fall as a result of someone else’s negligence.  If you have been in an accident, please contact us to discuss your particular accident circumstances. We have an extremely experienced personal injury team who will be happy to help you through the whole claims process, using their expertise and professionalism to ensure that you get the best possible outcome from your compensation claim. By explaining the whole claims process from start to finish, we will ensure that you understand your legal position using only plain and easy to understand language. It is really important that you know what is happening at all stages of your case and we will keep you fully informed at all times. You may have concerns about how much it will cost you to appoint a solicitor to represent you. There are options open to you to fund your personal injury claim and we will explain all of the options carefully and offer you advice on which one will suit your situation best. In view of the fact that we offer a free initial discussion about your case and there is no obligation to make a claim, you really have nothing to lose so contact us today.